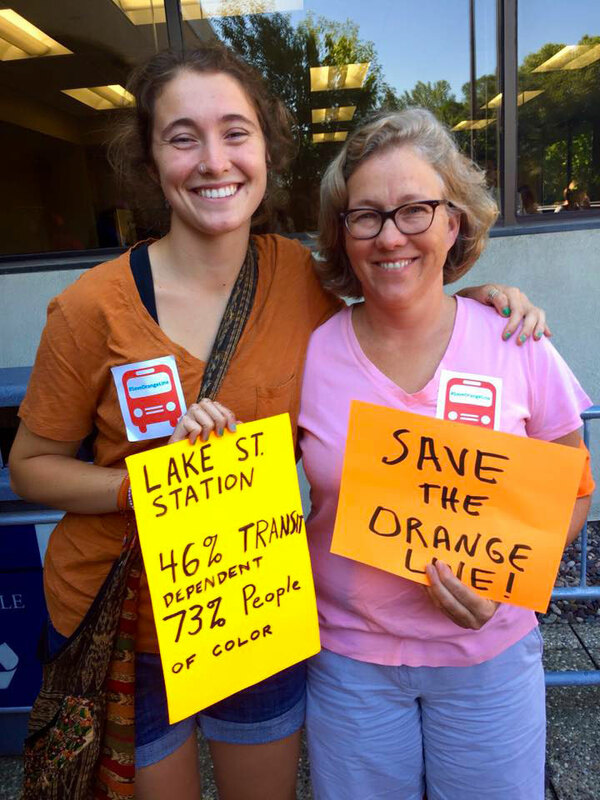 Thanks to a magnificent grassroots effort, supporters of transit and safe bike and pedestrian options joined together late this summer around the urgent need to save the Orange Line. With a federal funding application approaching quickly and construction anticipated next year, plans for this important bus rapid transit line were moving forward. Then, Dakota County’s decision to leave the Counties Transit Improvement Board (CTIB) put the project’s local and federal funding in jeopardy. All of a sudden, the entire line was at risk. 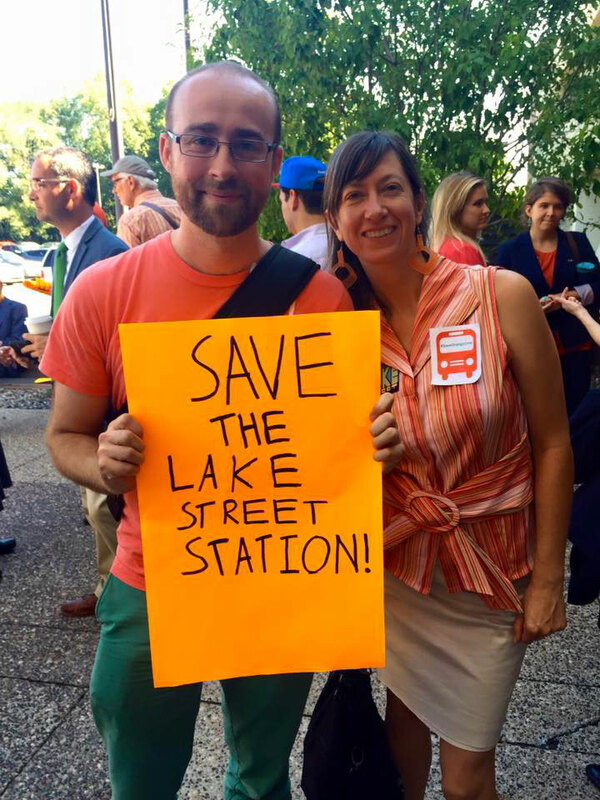 Transit for Livable Communities, the Sierra Club, and other allied groups, neighborhood organizations, local elected officials, and concerned residents scrambled to send the message that the Orange Line is an essential piece of the whole regional transit system. We urged CTIB to commit to funding the Orange Line before the federal funding application deadline passed on September 2. Hundreds of emails poured in to CTIB county commissioners. Supporters made calls, they packed the CTIB meeting room, spoke out on social media, and testified publicly that this transit line must be saved. Why is the Orange Line so important? Linking downtown Minneapolis and Burnsville, the Orange Line will greatly expand and update transit service in the most heavily traveled commuter corridor in the metro. The new route will improve bus access to 194,000 jobs and to other key destinations. It will offer riders fast, frequent service—all-day, seven days a week. That’s critical not only for 9-5 workers who need a little flexibility to go home early or stay at work late. It also opens up an important conduit to jobs for workers who have evening, weekend, or overnight shifts. Now they’ll have better options to get to work without relying on a car. This is really key to making the transit system work for everyone. A desperately needed new Lake Street Station is also a part of the plan, as well as better bicycling and walking connections to local streets and the Midtown Greenway. Within a ten-minute walk of the planned Lake Street Station, 46 percent of the population is transit dependent and 73 percent are people of color. We need to save the Orange Line to achieve equity in our neighborhood, and to have access to jobs for our residents. L: Existing bus station at Lake Street and I-35W South is badly deteriorated, feels unsafe, and is not accessible for people with disabilities. R: Planned improvements at the same location. Credit: Metro Transit. On August 17, our allies at ATU Local 1005 rented the bus, our organizers rounded up the coffee and doughnuts, and we met advocates bright and early in South Minneapolis for the ride over to the CTIB meeting. 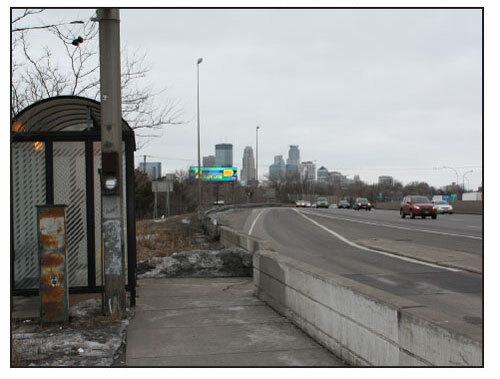 As we drove away, we were in sight of the badly degraded freeway bus stop at 35W and Lake Street that had motivated so many of us to take action. The bus was full of supporters wearing bright orange, carrying handmade signs. The sun was out in a clear sky and our mood was cheery but determined. We disembarked and met up with more of our fellow advocates who had carpooled, biked, and taken the bus to the Ramsey County building across the river from downtown Saint Paul. In all, a crowd of around 100 people filled the meeting room to standing room only. The members of the board began the meeting and had a heated discussion on the matter. Members from Dakota County offered a motion that didn’t pass. Local elected officials from along the line and concerned residents testified on behalf of Orange Line. TLC volunteer Jeremy Dennison, who lives in Dakota County, spoke up for the need for a great metro-wide transit system, saying that he’s happy to pay a bit more sales tax to ensure that it is built. 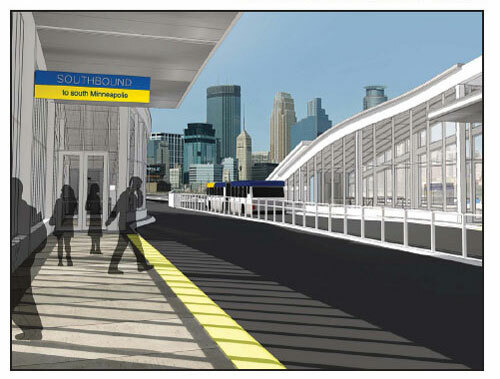 Finally, with a motion from Ramsey County Commissioner McDonough, the Counties Transit Improvement Board agreed to commit $37.5 million for the line. This is the action Metro Transit needed to apply for the federal matching funds that are critical to this project. Thanks to the Hennepin, Ramsey, and Washington County commissioners for voting yes and finding a solution to move the Orange Line forward! Though this success resolves the immediate crisis, additional funding for the Orange Line is still pending. The fact that this high-value project was in jeopardy at all also underlines the urgent need for a sustainable pool of funds that can fully address the biking, walking, and transit needs of the whole region. So long as we are fighting to scrape together funding for this line or that project, there are going to be frustrating conflicts like this and getting around will continue to be a struggle for too many people. Transit for Livable Communities has been pushing for years for an increase in long-term, multimodal funding from the state legislature. The Orange Line crisis really shows that we can’t continue operating from scarcity. More funding is needed to build out a strong regional transit system that serves communities all across the metro.